By now you’ve undoubtedly read or viewed several different CES stories across a wide range of publications and media sites. So, there’s no need to rehash the details about all the cool, crazy, or just plain interesting new products that were introduced at or around this year’s show. But it usually takes a few days to think through the potential impact of what these announcements mean from a big picture perspective. Having spent time doing that, here are some thoughts. The impact of technology on nearly all aspects of our lives continues to grow. Yes, I realize that seems somewhat obvious, but to actually see or at least read about the enormous range of products and services on display at this year’s show makes what is typically just a conceptual observation, very real. From food to sleep to shelter to work to entertainment (of all kinds!) to health to transportation and beyond, it’s nearly impossible to imagine an activity that humans engage in that wasn’t somehow addressed at this year’s show. Having attended approximately half of the 50 CES shows that have now occurred, the expanding breadth of the show never ceases to amaze me. In a related way, the range of companies that are now participating in some way, shape, or form is surprisingly diverse (and will only increase over time). Software is essential, but hardware still matters. At the end of the day, it’s the experience with a product that ultimately determines its success or failure. However, when you’re surrounded by the products and services that will drive the tech industry’s agenda for the next 12 months, it’s immediately clear that hardware plays an enormously critical role. From subtle distinctions like the look and feel of materials, to the introduction of entirely new types of tech products, the importance of hardware devices and key hardware components continues to grow, not shrink (as some have suggested). What’s old can be new again. 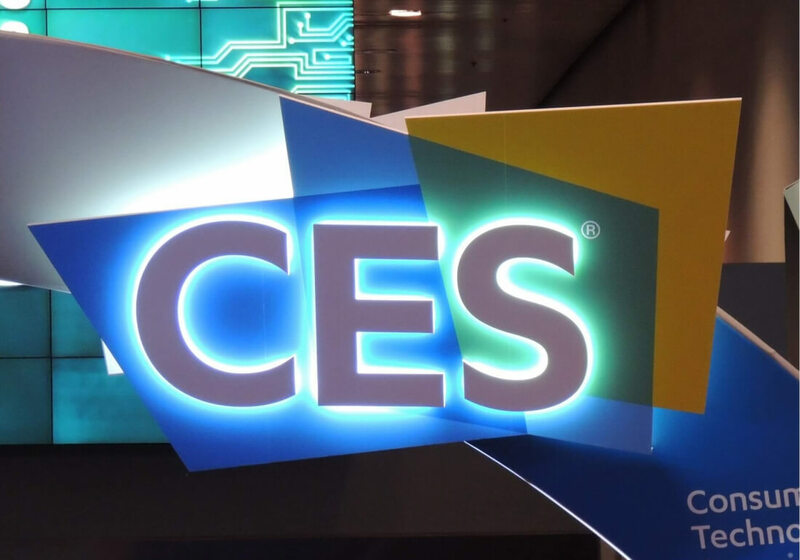 Though TVs and PCs may sound like products from a different era to some, this year’s show once again proved that the right technological developments combined with human ingenuity can produce some very compelling new products. Even long-forgotten technologies like front projection can be transformed in ways that make them very intriguing once again. Plus, it’s becoming increasingly clear that, just like the fashion and music industries, the tech industry is developing a love affair with retro trends. From vinyl to Game Boys and beyond, it seems many types of older tech are going to be revisited and renewed. We are on the cusp of some of the biggest changes in technology that we’ve seen in some time. The integration of “invisible” technologies that we can’t directly see but still interact with is going to drive some of the most profound developments, power shifts, and overall restructuring that’s ever occurred in the tech industry. Oh, and it’ll make for some incredibly useful and compelling new product experiences too. Voice-control will certainly be part of this, but there will be much more. In fact, the range of new products and services, as well as enhancements and recreations of existing products and services that AI, deep learning, and other advanced types of software technologies can enable in combination with sensors, connectivity, and powerful distributing computing is going to be transformational. Sure, there’s been talk of adding intelligence to everything for quite some time, but many of the announcements from this year’s CES demonstrate that this promise is now becoming real. Finally, trade shows still matter, even in tech. Yes, virtual reality may one day provide us with the freedom to avoid the crowds, hassles, and frustrations of trekking to an alternative location, and seemingly everyone who goes likes to complain about attending CES, but there’s nothing quite like being there. From serendipitous run-ins with industry contacts, to seeing how others react to products and technologies you find interesting, there are lots of reasons why it’s going to be difficult to completely virtualize a trade show for some time to come.